It has been quite the week in Major League Baseball. The Boston Red Sox both asserted themselves as baseball’s best team (Mookie Betts had a game with three homeruns in three at-bats) as well has suffered a no-hitter at the hand of Oakland A’s pitcher Sean Manaea. In addition, only four teams did not change in ranking from last week to this week. With that, here are this week’s MLB Power Rankings presented by FlurrySports. In light of Minnesota’s recent struggles, the Cleveland Indians have managed to regain the lead in the AL Central. One of the other highlights for the Tribe from last week was the homerun Francisco Lindor hit in his native Puerto Rico. Lindor was very animated as he rounded the bases in an awesome display of national pride. (That had to be an amazing experience for the young Puerto Rican baseball fans). While their bats are still trying to catch up (0.211), the Indians still boast one of the best pitching staffs in the majors (2.64 team ERA, 2nd in MLB). It seems as if this top ten is full of surprises this week, and the Atlanta Braves are no exception. Currently holding one of the National League Wild Card spots, the Braves have one of the most exciting offensive units in the majors. They are top-five in the MLB in runs-scored, run differential, and team batting average. Ryan Flaherty, Dansby Swanson, and Ozzie Albies have each turned in solid performances to start the season. Their pitching staff has also exceeded expectations with a team ERA of 3.23 (3rd in NL). Despite their slow start, the Cardinals have clawed their way back into first place in the NL Central. Yadier Molina continues to be a steady presence at the plate for St. Louis, having already clubbed five homers this season. Molina isn’t the only Cardinal showcasing his power. St. Louis is tied with Colorado for the most team homeruns by a National League club with 28. 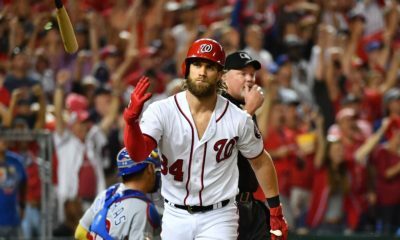 This week the Cardinals will host the New York Mets and then travel to Pittsburgh, ample opportunity for the Cards to assert themselves within the National League. I must be losing my mind putting the Phillies this high, but I have totally bought into the Philadelphia “Trust the Process” hype. What’s that? The “Trust the Process” mantra only applies to the 76ers? That’s fair, but consider this: the Phillies lost two close games to the Mets to start the season, and they just swept Pittsburgh in a four-game series. And would you believe me if I told you that their pitching staff has the second best ERA in the National League (3.09)? 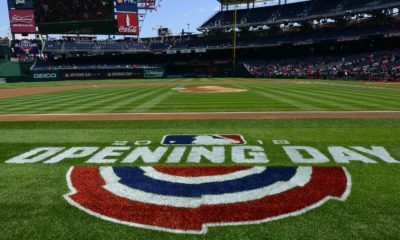 The Phillies may not be a top ten mainstay this season, but they deserve a little credit for the moment. That’s right, don’t sleep on this Blue Jays team. After a disappointing 2017 season where they went 76-86, Toronto went to work this offseason making a flurry of moves. José Bautista, who was a six-time All-Star with Toronto, was let go as the Blue Jays declined his $17 million mutual option, making him a free agent. Newcomers such as Yangervis Solarte have put the Blue Jays in contention to return to the postseason. While winning the AL East may be a bit of a stretch, there are two Wild Card spots up for grabs. As of now, if the season ended today, the Blue Jays would occupy one of those spots. The Angels were a juggernaut to start the season, but have recently hit a stumbling block. They were swept by Boston in three games and dropped two out of three games to the Giants to lose five out of their last six games. It won’t get any easier for the Angels this week as they’ll have to face both the Astros and the New York Yankees. The Angels will have a chance to get back on track by showcasing their power. In 21 games played they’ve hit 31 homeruns as a team, the most homeruns in the majors. That kind of quick-strike ability can keep a team in any ballgame. Losing a series at home to the Rangers was a bit of a bump in the road for the defending champs, to say the least. They got back on track taking three out of four games in Seattle followed by a three-game sweep of the White Sox. The offense has been off to a slower start than they had last season, but it would be hard for any team to completely replicate what the Astros did last season. Their pitching staff, with a team ERA of 2.28 (1st in MLB), has led the way so far. Houston will host a heavily-anticipated three-game series against the Angels this week. It appears that the Mets have regressed more towards the mean in the last week, but they’re still one of the top teams in baseball right now. The Mets have been one of baseball’s biggest surprises so far this season, currently sitting in first place in the NL East. Having Noah Syndergaard back in the starting rotation after an injury-plagued 2017 has given New York an edge. Syndergaard could very well take home the NL Cy Young Award at season’s end. Speaking of Cy Young candidates in the National League, the D-backs have a left-hander who could give Noah Syndergaard a run for his money. Patrick Corbin has come seemingly out of nowhere to help Arizona to a fast start. Corbin has used his slider to devastate his opponents, amassing 48 strikeouts in 33.1 innings pitched. In addition, he has a spotless 4-0 record in his first five starts with an ERA of 1.89 and a WHIP of only 0.66. Other than getting no-hit by Oakland, the Boston Red Sox have been absolutely dominant in 2018. They followed up their nine-game winning streak with a win streak of eight. 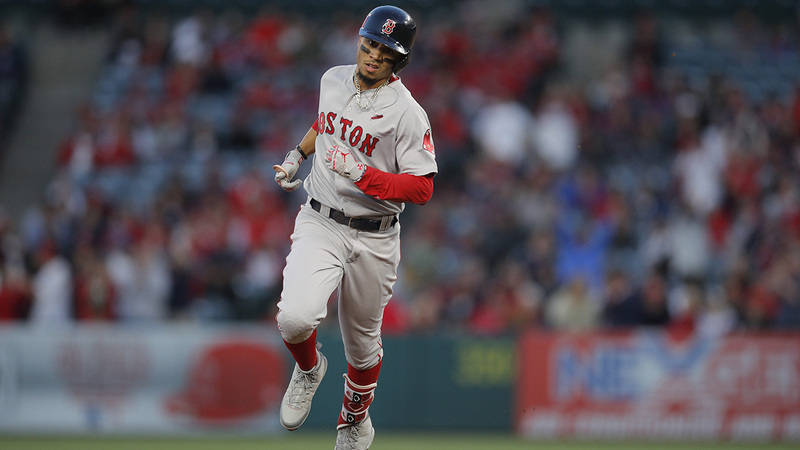 Mookie Betts has been largely responsible for Boston’s surge into the top spot. 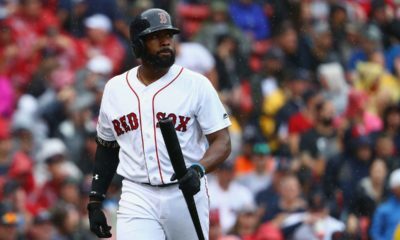 His 0.366/0.459/1.191 slash combined with his six homeruns and 14 runs batted in has been the catalyst for a Boston offense that ranks as one of the best in the majors. Having the third best team ERA in the majors (2.68) doesn’t hurt, either.